Our lives were forever changed on January 11, 2017 when our son, Corey Patrick Walgren lost his life by suicide after being questioned by authorities at school over a disciplinary incident. 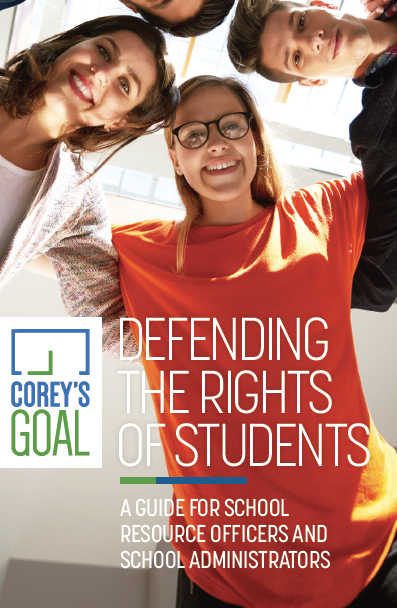 Raise awareness of the constitutional rights of minors in the school setting and provide education on how disciplinary practices in schools can better support the emotional well-being of students. Honor Corey and his love of hockey by supporting hockey programs through financial gifting. Corey's Goal has been selected as the charity of choice for the Manchester Lights Holiday light show in the Brookdale Subdivision in Naperville. The show's creator, Matt Baker, is a hockey buddy of Corey's. The show takes over the entire Manchester Court Cul de Sac and is synchronized to music. Please be sure to stop by 1117 Manchester Court, Naperville to check out the display and donate to Corey's Goal. The show will run from Nov 24th through Jan 1st from 5-10pm. Additionally, Matt Baker and his company, Brookdale Landscaping, are decorating the Walgren's house at 111 Westmoreland Ln in the Corey's Goal colors of blue and green to raise awareness of the Charity. If you are available to help hang lights, the Walgren's are inviting friends and neighbors to help out on Sat Nov 10th at 9am. The lights will run from Nov 24th up until the anniversary date of Corey's death, Jan 11th. Walgren's are asking that friends and neighbors light a candle on their porch the night of Jan 11th in memory of Corey. Corey's Goal exhibited at the 2018 National School Safety Conference hosted by NASRO June 24-26 in Reno, NV. We spoke with school resource officers, administrators and law professionals from all over the nation. 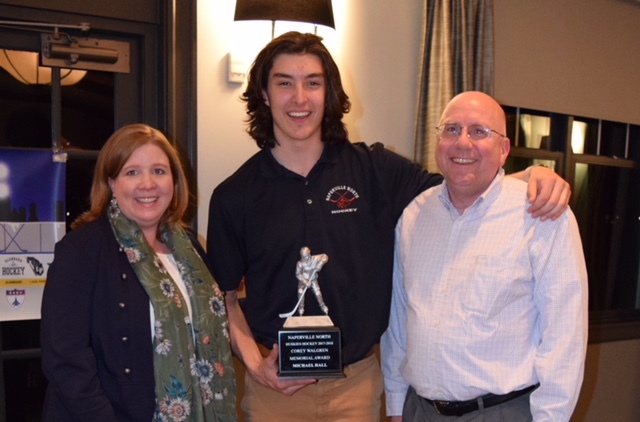 Naperville North Huskies Hockey Club awards the 2018 Corey Walgren Memorial Trophy and a $2,500 grant to Michael Hall. The grant is funded by Corey's Goal.